Fleas are tiny, irritating insects that mostly attack pets. But, if you have pets or live in an area where fleas are common, chances are high that you may also suffer from flea bites. Flea bites are itchy as well as painful. The bites may appear as small, red bumps, typically in groups of three or four or in a straight line. They are most often seen around the ankles or legs, however, bites can also be noticed around the waist, armpits or in the folds of the elbows and knees. Excessive scratching can damage the skin and lead to a secondary bacterial infection. To treat and prevent flea bites, your first line of defense should be controlling the infestation. At the same time, there are many natural methods that you can use to quickly treat flea bites on yourself as well as your pets. 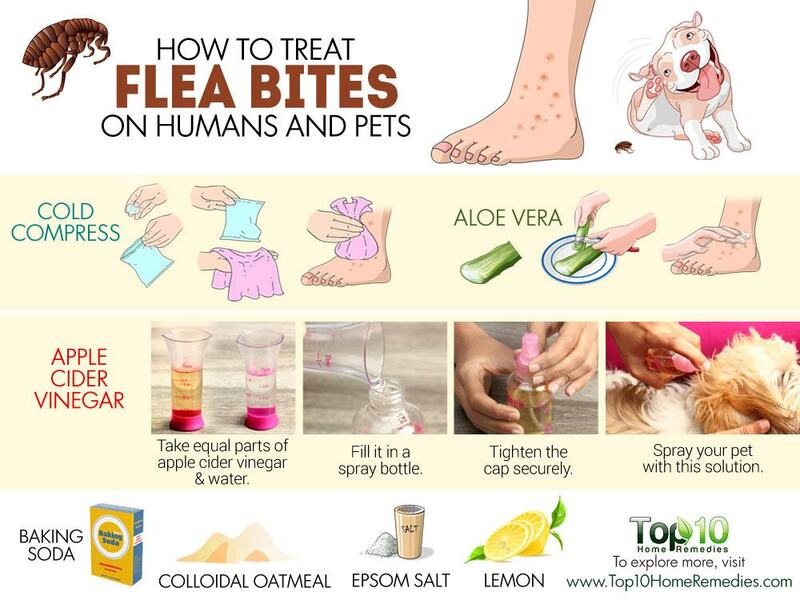 Here are the top 10 ways to treat flea bites on humans and pets. Applying a cold compress can help stop itching and pain due to flea bites. This remedy works for humans as well as pets. The cold temperature has a numbing effect on the nerve endings that helps soothe the itching sensation. It also reduces swelling. Clean the site of the bite and the area around it with warm, soapy water. Wrap a few ice cubes in a thin washcloth. Put the ice pack on the affected area for no more than 2 to 3 minutes. Take a break, then reapply the pack. Continue doing this for 10 to 15 minutes, a few times a day. Note: Do not apply ice directly on the skin, as it can lead to ice burns. Another great remedy for flea bites on humans and pets is baking soda. Being a natural acid neutralizer, it provides instant relief from itching. It also reduces swelling and inflammation as well as the risk of infection. Simply mix 1 teaspoon of baking soda with a little water and apply the thin paste on the flea bite. Leave it on for 5 to 10 minutes, then rinse it off with cool water. Use this remedy 1 or 2 times a day only. Alternatively, add 1 cup of baking soda to a bathtub filled with cool water. Stir it well. Soak yourself in this soothing water for 10 minutes, then pat yourself dry with a soft towel. Do this once daily. Both cats and dogs can be treated with a paste made from 1 teaspoon of baking soda and a little water to prevent itching and scratching. Use a cotton ball to apply this mixture on the affected area. Leave it on for 5 minutes, then rinse it off with cool water. In case your pet is itching all over, give your pet a bath with ½ to 1 cup of baking soda mixed in its bath water. Note: Do not use baking soda on broken skin or open wounds. Raw and unfiltered apple cider vinegar is another excellent home remedy to treat flea bites. This remedy works well for humans as well as pets. It can help reduce inflammation and soothe itching on the affected area. Its acetic acid content also prevents infections. Dip a cotton ball in raw, unfiltered apple cider vinegar and place it on the affected area. Let it sit for 5 minutes, then remove the cotton ball. Try this effective remedy a few times a day until you get relief. If it causes irritation, try diluting the apple cider vinegar with water before applying it. For pets, mix equal parts of raw, unfiltered apple cider vinegar and water in a spray bottle. Spray the solution on the affected areas on your pet’s body. Be careful to avoid spraying it in your pet’s eyes, ears and nose. Repeat a few times daily. You can also spray the solution on flea-infested surfaces. Succulent aloe vera gel is soothing for the skin, for humans as well as pets. Its active compounds contain antiseptic as well as anti-inflammatory properties that help ease itching and swelling due to flea bites. It also accelerates the healing process. Cut open a small part of an aloe vera leaf and extract the gel. Rub the gel on your skin and areas where fleas have bitten your pet. Leave it on for 15 minutes, then rinse it off with lukewarm water. Use this remedy 2 or 3 times daily. Store the remaining gel in the refrigerator. Whether you want to control a flea infestation or treat flea bite symptoms, Indian lilac (also known as neem or margosa) is very effective. Neem leaves and oil contain anti-irritant, antiseptic and anti-inflammatory qualities and is widely used on humans and dogs by those who prefer to treat flea bites in a natural way. Neem remedies are not suitable for cats. Simmer a handful of neem leaves in water for 15 to 20 minutes. Strain the solution and allow it to cool. Soak a cotton ball in the solution and place it on the flea-bitten area for 10 to 15 minutes. Do this a couple of times daily for a few days. You can also apply a neem-based cream or lotion on the affected area a few times daily. For your dog, dilute neem oil with almond oil in a ratio of 1:10. Rub it on the affected areas of your dog a few times daily. To control a flea infestation, mix 12 drops of therapeutic-grade neem oil in a 1-ounce spray bottle. Spray this solution on flea-infested areas. You can also spray the solution on your dog’s fur and allow it to dry. Witch hazel is an effective astringent that you can use to treat flea bites. It helps calm itching as well as reduce inflammation and redness due to the tannins in it that have a mild astringent and anti-inflammatory effect that helps reduce the itching and swelling. Dogs and cats can also be treated with witch hazel. Soak a cotton ball in witch hazel and place it on the affected area for 10 minutes. Repeat as needed. For pets, store witch hazel in a spray bottle and quickly spray it on the inflamed skin when your dog or cat starts to scratch it. Repeat as needed. 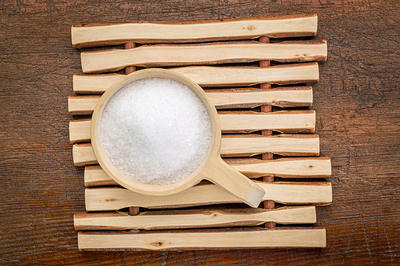 Epsom salt is useful for soothing a number of skin complaints, including flea bites. Humans as well as pets can enjoy a soothing Epsom salt bath to reduce the inflammation and irritation caused by flea bites. For dogs or cats, dissolve 4 to 6 tablespoons of Epsom salt in a gallon of warm water and use this water to give your pet a nice bath for 10 to 15 minutes. Use this remedy once a week. While giving pets an Epsom salt bath, make sure they do not drink any of the water, as it may cause diarrhea. If you have flea bites, prepare a soothing bath by dissolving 1 cup of Epsom salt in a bathtub filled with lukewarm water. Soak yourself in this water for 15 minutes. Enjoy this soothing bath 1 or 2 times a week. Oatmeal, particularly, colloidal oatmeal can be beneficial in treating flea bites naturally. Colloidal oatmeal is refers to oats that are ground into an extremely fine powder. 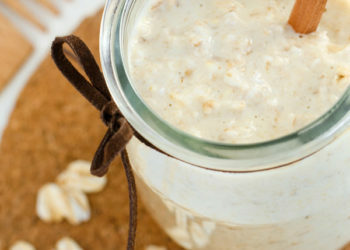 As oatmeal draws inflammatory toxins out of the skin as well as soothes the skin, it helps treat skin irritation and inflammation caused by flea bites. It can be safely used on both humans and pets. 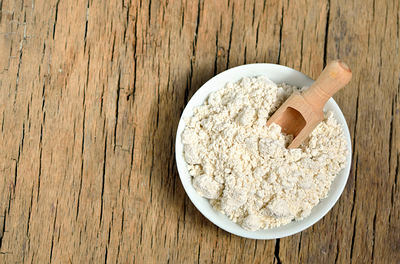 For localized bites, prepare a thick paste using equal amounts of ground oatmeal and plain yogurt and a little honey. Apply it on the affected area and leave it on for about 30 minutes before washing it off. Do this daily until you see improvement. For pets, put 1 cup of colloidal oatmeal in a tub of lukewarm water. Bathe your dog or cat in the solution, making sure it soaks into their fur for at least 15 minutes. Finally, rinse with cool water. Repeat a few times a week. For hairless patches, allow cooked oatmeal to cool down completely. Apply it to the affected area. Leave it on for 10 to 15 minutes, then rinse it off with cool water. Do it once daily. 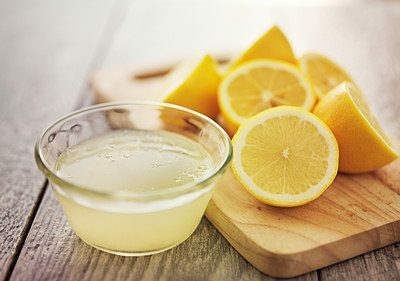 Lemon is another natural and effective flea bite remedy for humans as well as pets. It can even help control fleas infesting your pets and your house. This natural astringent helps dry out rashes caused by flea bites and keeps itching at bay. It also reduces redness and swelling as well as prevents infections. Dip a cotton ball in lemon juice and dab it on the bitten areas. Allow it to air-dry, then rinse the affected area. This remedy is for humans as well as pets. 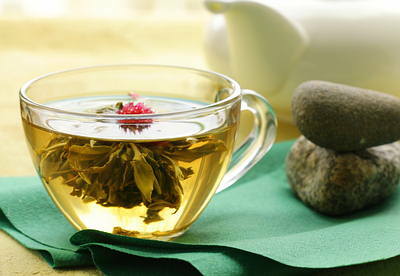 Green tea may also improve the skin’s condition when bitten by fleas. It can soothe the skin, relieve itching, reduce swelling and promote healing due to its anti-irritant and anti-inflammatory properties. Brew a few cups of green tea and allow it to cool. Use the tea to wash the bites on your skin as well as your pets’. Repeat as needed. Alternatively, you can place used tea bags directly on the bites. Make sure the used tea bags are kept in the refrigerator for about 30 minutes prior to use. Repeat as needed. Along with green tea, black tea, comfrey tea, chamomile tea or a tea made from fresh or dried lavender flowers can be used to treat flea bites. Vacuum and clean your house thoroughly to control the infestation. Give your pet a bath with a flea shampoo recommended by your vet. Apply calendula cream on the affected area to prevent itching and worsening of the rash. Try calamine lotion or hydrocortisone cream to ease the itching. Apply crushed basil leaves on the bitten areas. Antihistamines can help get rid of the itching. Consult your doctor about which antihistamines are safe for pets. It is important to avoid scratching your skin, as it can cause an infection. Include garlic in your diet. Fleas do not like the smell of garlic and it will stop them from biting you. Garlic may not be suitable for your furry campanion, though. Sometimes professional pest control treatment may be required to get rid of the infestation.